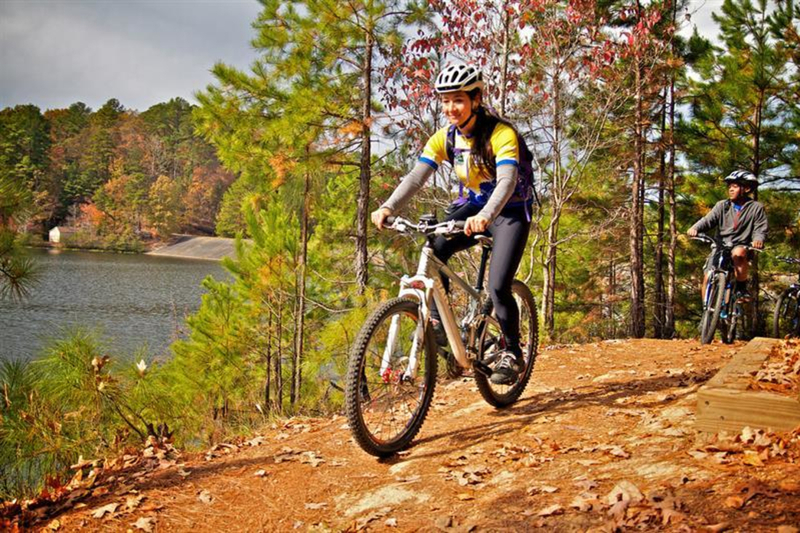 With its 29-miles of diverse trail, Oak Mountain State Park is the crown jewel of Alabama mountain biking. Even the pros rank it as a top destination. 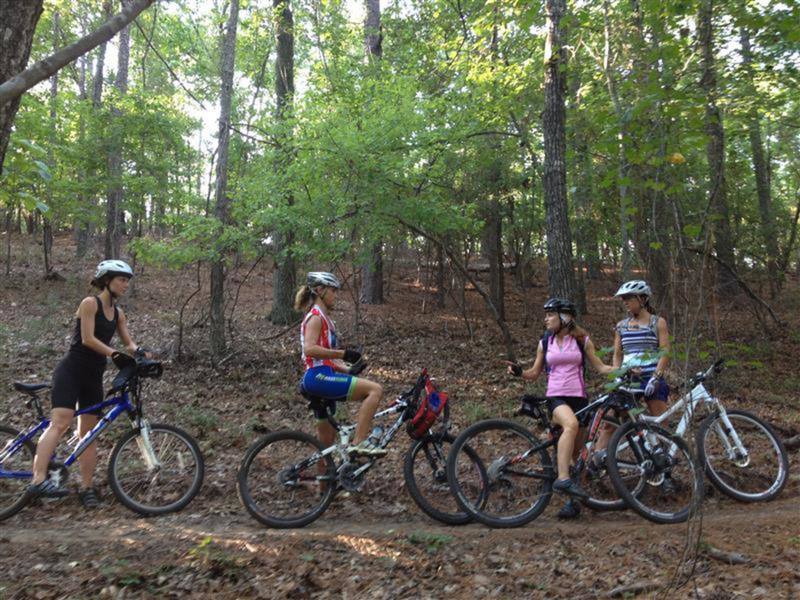 The crown jewel of Bama mountain biking, Oak Mountain State Park has 29-miles of trails in all flavors. Centered around a gorgeous lake (which means post-ride dip), this single track is the highlight of the Xterra Southeast Championship course, which top Xterra pros have called “the best course on the circuit.” Pay $3 at the gate and park at the sea of roof racks known as the South Trailhead, where you’ll find changing rooms, flush toilets, a bike-washing station, and friendly locals. 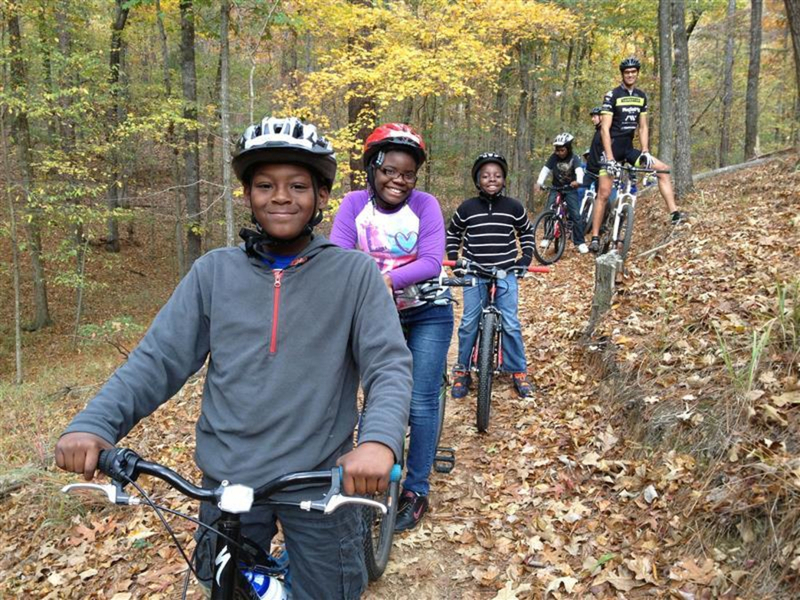 Bring a copy of the trail map from the BUMP website (Birmingham Urban Mountain Peddlers) and plenty of food and water. 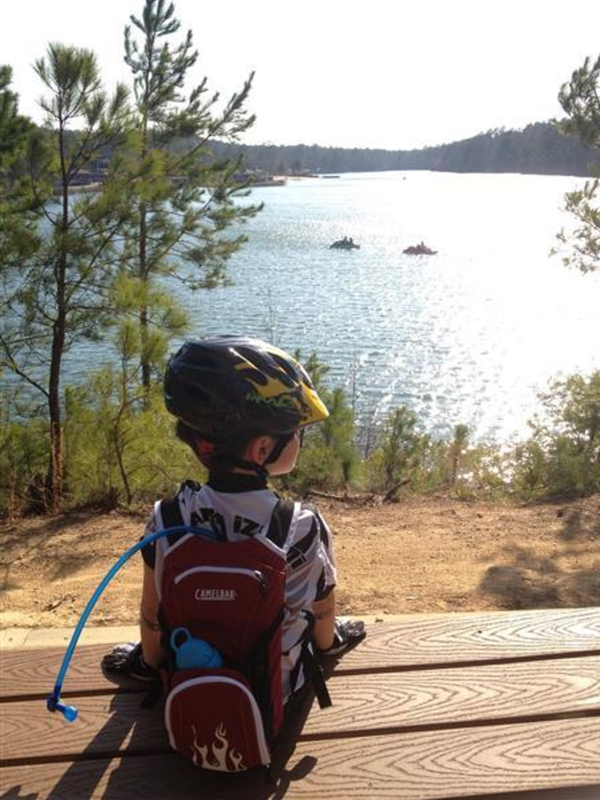 The 2.3-mile Lake Trail is great for beginners and families. It is wide and non-technical, with minimal climbing. It circles Double Oak Lake for nice scenery for the ride. Rattlesnake Ridge, a 2.7-mile romp, has a tad more elevation and a little more “texture.” The 22-mile Double Oak Trail, known locally as Red Trail, is more demanding physically (it features an unrelenting 2-mile climb) and technically (roots, switchbacks, drops, and a short rock garden with a gnome). 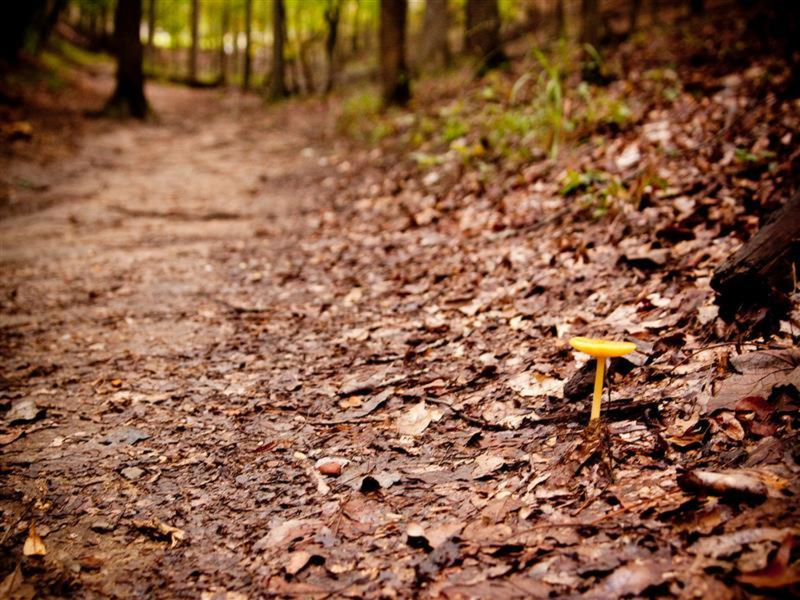 Keep an eye out for walkers and climbers, however – the trail is also open to hikers. Keep to the sections specifically for cycling and you can let loose without worrying about pedestrians. 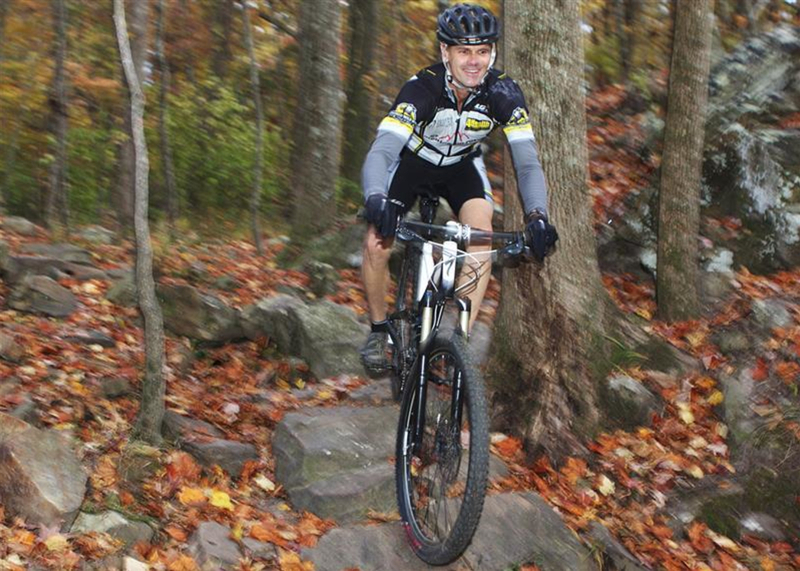 Add to your scar collection at Blood Rock (can’t miss it—it’s painted red), a series of drops punctuated with a hairpin turn at a tree, reserved for advanced riders only. Jeckyll and Hyde is another intermediate/advanced favorite, half hand-built rock garden and half machine-built flow coaster. On Lightning, the 1-mile gravity trail (accessed from the Tranquility Camp Road or the red loop), expect steeper sections, tables and step-ups, and one mandatory-air drop with a ride-around. 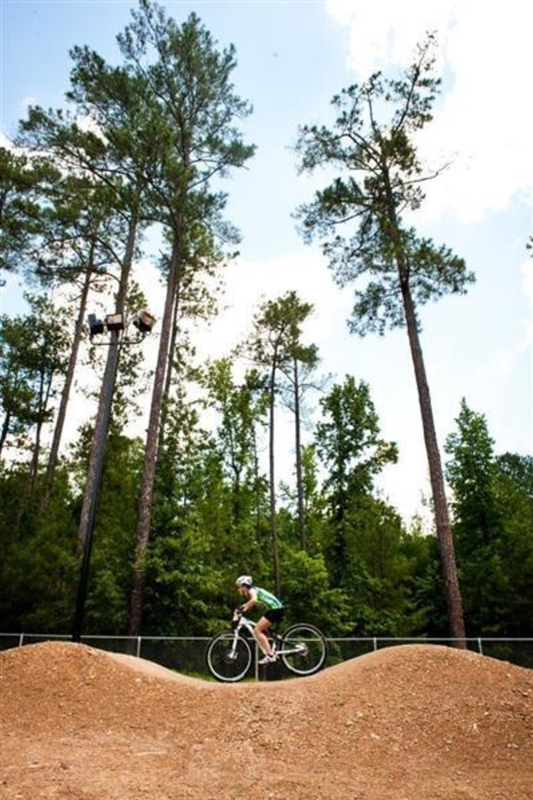 Oak Mountain State Park, with its wide variety of activities, is literally for anyone that is looking for an adventure. A kid just learning to off-road it will love the smooth trails and will get good practice for the harder ones. Families will love the variety so that everyone gets what they want. Beginners will love the easier levels and would do well to challenge themselves on the more intermediate trails to gain experience. Pros will love the hard-core sections and the scenery along the way. 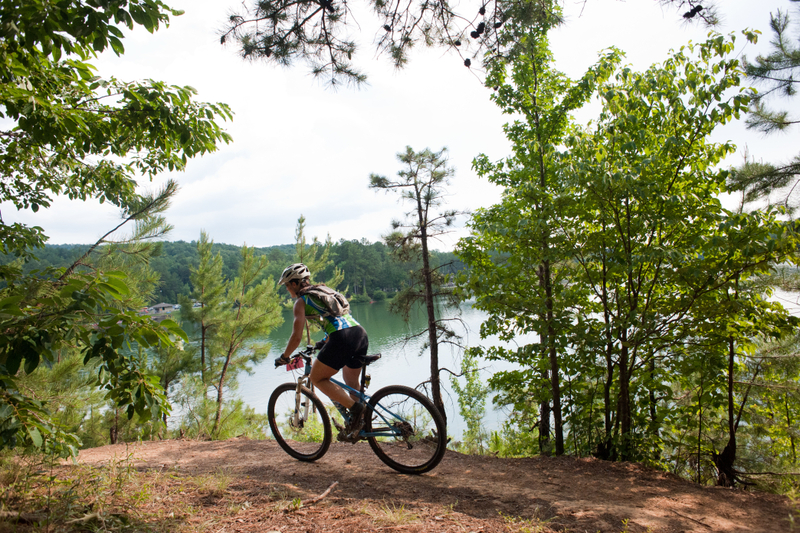 If you’ve got two wheels and a map, you can’t go wrong at Oak Mountain State Park. 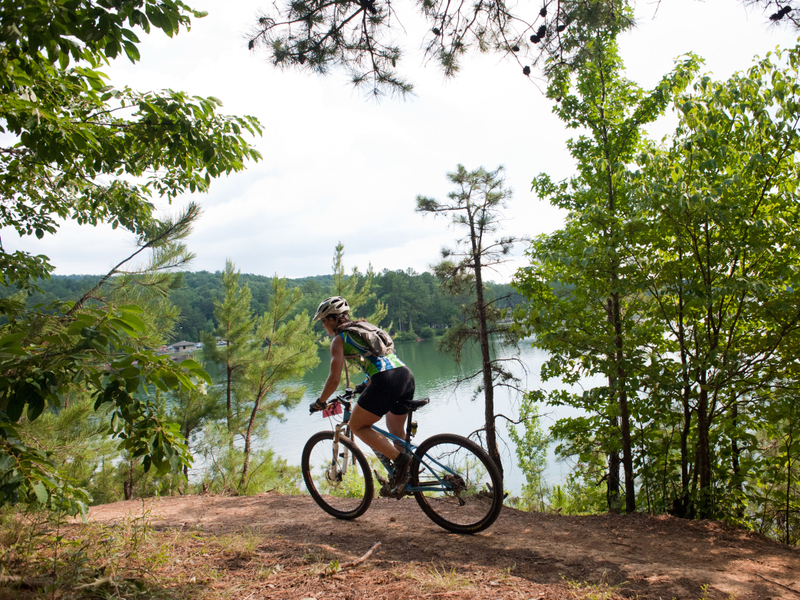 Getting to Oak Mountain State Park is easy, and is clearly marked with signage. The easiest way to get there is to take I-65 S, then take exit 246. Take John Findley Drive to Terrace Drive. The park hours are 7 a.m. to 5 p.m. so make sure you get there in plenty of time to beat the dusk.